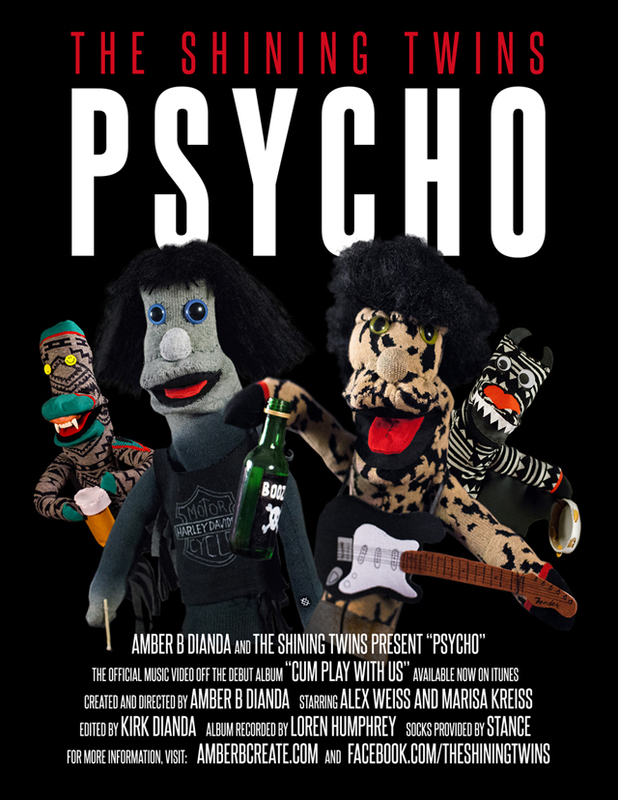 Check out this fun little music video for The Shining Twins track Psycho, featuring a cast of sock puppet creatures created by Amber B. Dianda & made entirely from a box of Stance socks. From the press release: Hand-sewn by Amber, the puppets were created to caricaturize Alex Weiss and Marisa Kreiss, aka The Shining Twins. But no band is complete without groupies to dance, drink, and run-a-muck. So when the stage was set, the band of merry pranksters joined in for the fun. The video was shot and edited by Kirk Dianda.